The pentagram is a well used symbol in Western Magickal Traditions. 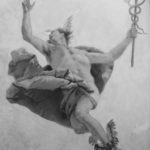 There are many different resources online and in books that can be referenced as to the meaning and correspondence between the five points of the pentagram. One of the allures of following the path of magick is the inherent harmony we find that may not have shown itself to us in more mainstream forms of religion and belief. There are as many ways to tap into this harmony in the magickal traditions as there are practitioners. One way is to have all of the symbols, ritual movements and gestures work in conjunction with one another. Drawing the pentagram using the method in this post is one way that has helped me in my own practice to work more harmoniously with the symbols and is shared here for your use and experimentation. 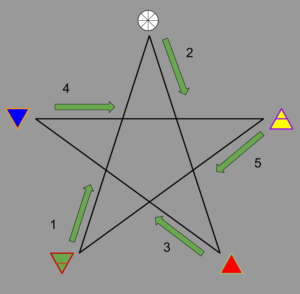 It is presented here as one of many ways to draw a pentagram and by no means is this considered to be the only way. 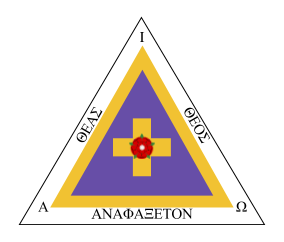 Most modern ways of drawing a pentagram stem from the Hermetic Order of the Golden Dawn (HOGD). 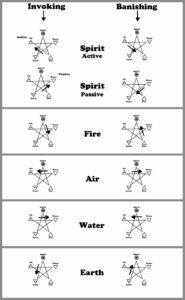 Whether working with elemental energies or just as a general banishing or invoking most forms are based on the HOGD version. 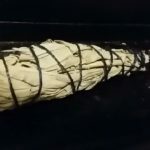 One way of looking at banishing is sending energies back to their source, or releasing these energies rather than just sterilizing, although that is a side effect of banishing. Invoking can be thought of as bringing certain energies into our circle, sphere of sensation, or aura. Notice the 4 different forms of the spirit pentagram. In the HOGD method of drawing pentagrams you would do a general banishing by drawing a banishing Earth pentagram. You would start at the lower left point of the pentagram associated to earth (see diagram to the right) and then draw the pentagram going towards the element of spirit. Yet at the same time it is stated in the HOGD system that to invoke a force you draw your pentagram towards the element. Does this imply that a banishing Earth pentagram is also a Spirit invoking pentagram? In general no, but of course there are some who would say yes, with their own reasons. Invoking and Banishing Spirit Pentagrams in the HOGD system do not follow this rule. They have their own rule and are divided into Active and Passive forms. If you’re having a hard time following you are not the only one. In fact I would say most beginning to intermediate practitioners have a hard time with this. It’s also not uncommon to see those with the rank of Adept in these traditions to “accidentally” make the incorrect pentagram in ritual with many decades of experience. In general it can be a bit confusing. 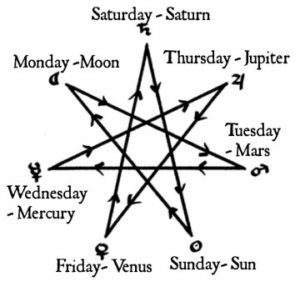 the clockwise Invoking pattern as seen in the days of the week. at the point of the force or energy you want to invoke and then draw the symbol from that point in a clockwise manner (see diagrams) while banishing the force or energy is done counterclockwise. This mirrors the clockwise motion of the circumambulation used in the various Mystery Traditions to invoke or bring in energies. 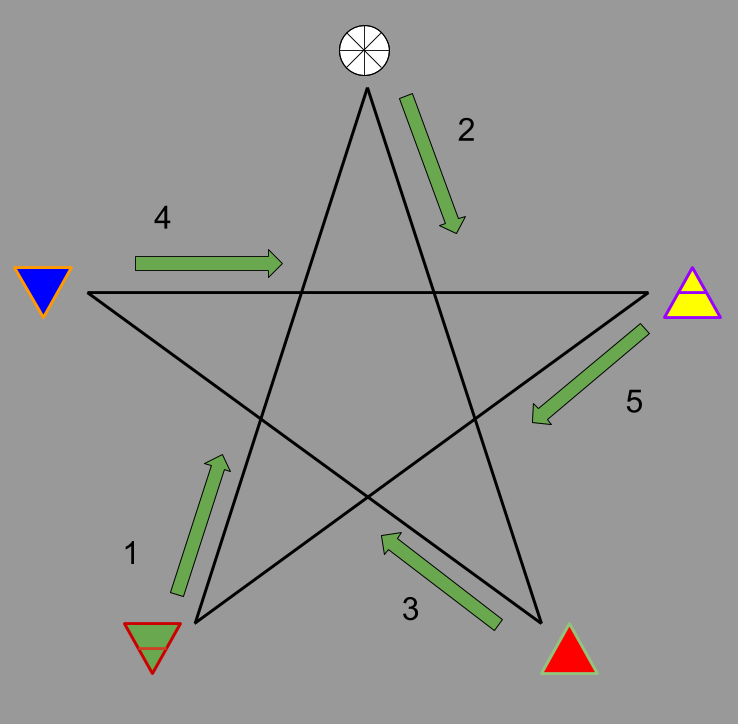 Applying this method to the pentagram is done by starting from the point of the energy or force you want to invoke and drawing the pentagram clockwise (see diagrams). 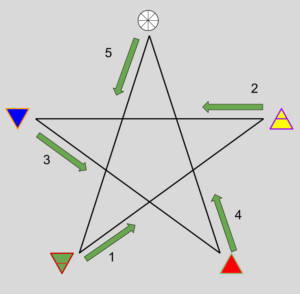 Drawing the pentagram counterclockwise is used when you want to banish or release the energy or force. In general it is easier to remember and allows one to focus more on visualizations, communing with the energies you are working with and projecting the necessary energy. If you are looking to experiment with this way of drawing the pentagram a good way to test it out is in the lesser banishing ritual of the pentagram. Try it out and see how it feels. The worst case scenario, it will have no effect on your ritual. Ultimately go with what works best for you.